When large companies find themselves under assault from smaller operations with innovative products, the response is often to try to replicate what’s leading the attack. Think of Ford’s Pinto to compete with smaller foreign imports, or MillerCoors’ Blue Moon reaction to craft beer brewers, or any one of many similar situations. In the cigar world, a prime example is General Cigar’s Foundry Tobacco Co. The division was created in 2012 under the now-departed Michael Giannini, who’d come to General after Swedish Match bought Ernesto Perez-Carrillo’s successful boutique brand that made La Gloria Cubana. Foundry has featured nearly every card in the boutique deck: exotic packaging, silly and obscure brand names, baroque themes, limited editions, elaborate back stories about the tobaccos, etc. Additionally, General Cigar has moved some of its historic, if under-appreciated, brands like Bolivar, Ramón Allones, and Temple Hall under the Foundry umbrella. With Time Flies, Foundry joined in the collaboration trend. This four-size line, introduced at the 2016 IPCPR Trade Show, was created by Giannini and A.J. Fernandez and rolled at Fernandez’s factory in Estelí, Nicaragua. 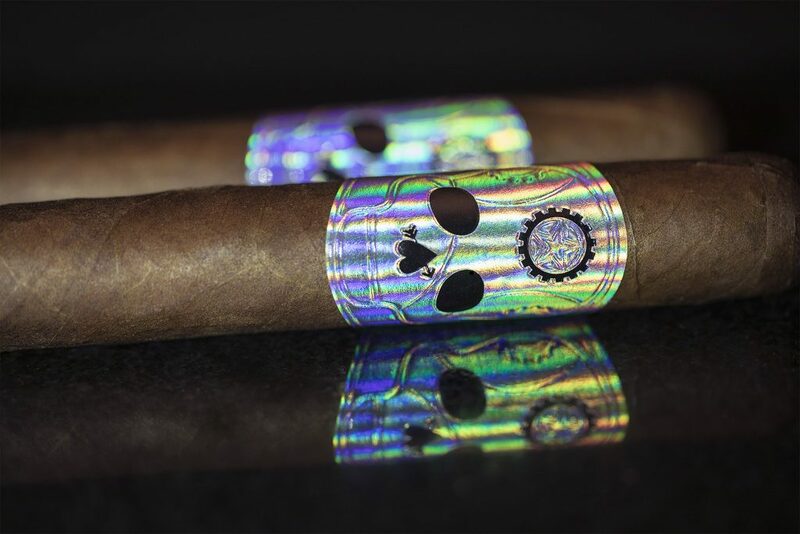 With all that surrounds Time Flies—skulls, wild colors, aphorisms on the band, a $35,000 humidor—you’d be forgiven for assuming the line is just another gimmicky creation. In this case, though, I believe you’d be wrong. The half-dozen Time Flies robustos I’ve smoked are strong, satisfying cigars. The opening notes of the cigar are hot pepper, which remind me of some of Don José “Pepin” Garcia’s early creations. The volume lowers about an inch in, which is where you begin to pick up woody notes and dark coffee. At the halfway point, the pepper reemerges and mingles with some cedar. Toward the final third, there’s some sweetness as well. I found the overall strength to be on the higher end of medium, though it ramps up a bit in the second half. The finish is fairly light. Construction, burn, and draw are excellent, as is the smoke production. All in all, I enjoyed Time Flies and rate it four stogies out of five.